Drugs and substance addiction is a problem that can touch anyone. It touched stars Cory Monteith, Michael Jackson, and Amy Winehouse plus the unknown common people who died of drug overdose. We are only reading and hearing of their stories, but no one reports of the grief that their families had to go through because of an overdose death. As people often say, grief is like a deserted island – people grieve differently. Despite the differences in the way people grieve due to an overdose death, there are stages that a grieving family has to go through because of this event. You can’t stop feeling guilty. As a family member of someone who died of an overdose, you have to survive that feeling that somehow, you are responsible for the death of your loved one. Family members of drug addicts who died often feel like the death could have been avoided. You will always have that feeling of disbelief, shame, fear of being blamed, and isolation for what happened. There are support groups but most of the time, it doesn’t help. For a woman who lost a husband due to overdose, the feeling of being betrayed is strong. She feels anger and resentment towards the husband for choosing drugs over her and their future together. Support groups don’t encourage the expression of resentment towards the deceased though hence some members feel alone. In our society, it is impossible to say negative things towards someone who just passed regardless of the cause because he is already gone. Even family members of overdose death don’t feel open in sharing their feelings with one another, bottling their grief inside, desperately trying to find a way to express it out. Why did he lie? Why did he start using again? Was he in pain? Was it his intention to kill himself? These questions will be left unanswered forever. Grieving families of overdose death start to have questions upon hearing of the bad news and their questions multiply even after knowing that there are no answers. It changes how you see the world. Because it was an overdose death, there are tests that need to be done such as toxicology and even autopsy (if something seems to be off). The result of these tests takes weeks or months before it gets delivered. Once you see what it says, you can have more questions that will be left unanswered as well. In the case of overdose death due to heroin, families are often wondering why there are people who are selling such illegal substance. You tend to get angry at these people for being inconsiderate, for being free even if they are breaking the law. For causing your family a heartbreak. The stigma makes the grieving process longer. People who knew your family and what happened to your loved one will still ask questions about what happened. questions that you yourself are asking but received no answer. New faces that you just met and learned of your family history also tend to ask about what happened, and oftentimes, the endless questioning hinders you to grieve peacefully. In addition, as the deceased is associated with overdose and substance use, his or her achievement is being overshadowed and as a family member, you would want to remember your loved one in their best. Sometimes, a general comment about people using substance will affect you emotionally, even if the people who are saying the comments are not saying it towards you. It will always feel like strangers are judging your loved one and it hurts not to speak on his or her behalf despite your resentment to what he or she did. 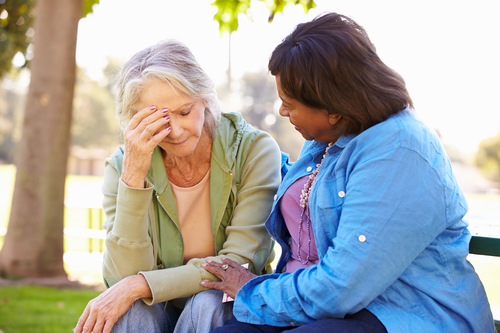 The grief and pain that you are feeling cannot be treated medically but there are some options that you can take to overcome your grief. Grief and pain can cause sleepless nights hence you can ask your doctor to give you something to help you at night. If your condition is not getting better after a week of medication, seek counseling. You can join support groups. It is best to join a support group where members also lose a loved one due to overdose. If you can speak with people who had the same experience as you, chances are they can understand your resentments and can help you cope with it. One of the ways to get through all the unanswered questions that you have is to try to understand addiction. Understand how substance addiction can affect a person’s thinking and behavior. You might not get all your questions answered but at least this knowledge can shed some lights as to why your loved one behaved the way he did. Lastly, as you try to survive the grief of losing someone because of overdose, you should stay away from people in your life that aren’t helping. There are family members that make the grieving process harder and longer – stay away from them. Once you are halfway done with your grieving, maybe you can re-introduce them in your life again but if you need to, free yourself from toxic people. Do not limit yourself when grieving. If you feel like you want to do something to lessen the pain or anger, go ahead and do it. In the end, you will be the only one who will suffer if you cannot survive those feeling of guilt, shame, and blame for the death of your loved one. The Funeral Program Site offers many funeral resources, funeral templates, funeral program design/print services, funeral program paper and personalized memorials which can help in the grieving process.